Commute solutions. A smarter way to work. 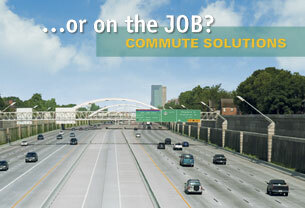 FOR MANY COMMUTERS in the Houston area, going to and from work is like a job in itself. Fortunately, there's Commute Solutions. Save money, camping blankets time and stress with vanpooling, NuRide, teleworking and Best Workplaces for Commuters. • Register for TranSar Traffic Alerts. Try Teleworking & get up to $72K for your company. Click here or call Ch'rese Jackson at 713-993-2487.